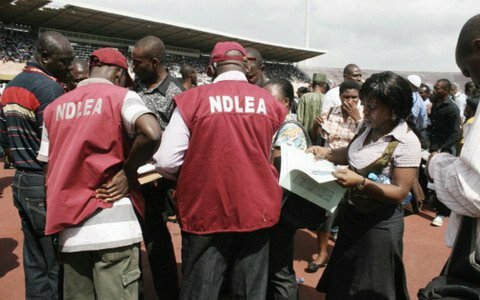 National Drug Law Enforcement Agency, NDLEA, has received donation from The United States Government to support the agency. According to a statement on Wednesday by the US Consulate General in Lagos, the gesture was an extension of the US government’s support for the counter-narcotics agency. Items and equipment donated to the NDLEA are three Honda Accord vehicles, three Toyota Hilux trucks, one Toyota Hiace van, one Smith Detection Body Scan Unit, 16 laptop computers and 16 Analyst Notebook Software. Others are 20 digital cameras, five electric bill counters and 25 battery power supply backup. The US Consulate General, John Bray, presenting the items to the Director of Training and Manpower Development, NDLEA, Dr. Linus Opara, stressed on the importance of law enforcement cooperation between the US and Nigeria in the fight against drug trafficking and abuse. “We are pleased to support the NDLEA in its efforts to fight drug trafficking. We share the same objective of ridding our societies of the harmful effects of narcotics trafficking and illicit drug use,” he said. Bray said the items were funded through the US Africa Command Counter-narcotics and Transnational Threats Programme.